Take a look at some of the all-time favorite musicals that have inspired the exciting setlist. This story is also on ZCOOP, Zalora’s fashion, beauty, and lifestyle content site. Love the heart-warming tale of Wicked? Can’t get enough of Mamma Mia’s upbeat songs? Or crazy over West Side Story’s killer music score? This June, you can relish many of these classic hits from 10 popular musicals in Stars of the West End, a British Theater Playhouse production. Similar to The World of Musicals released in 2013, this production features numerous hits all in one show. 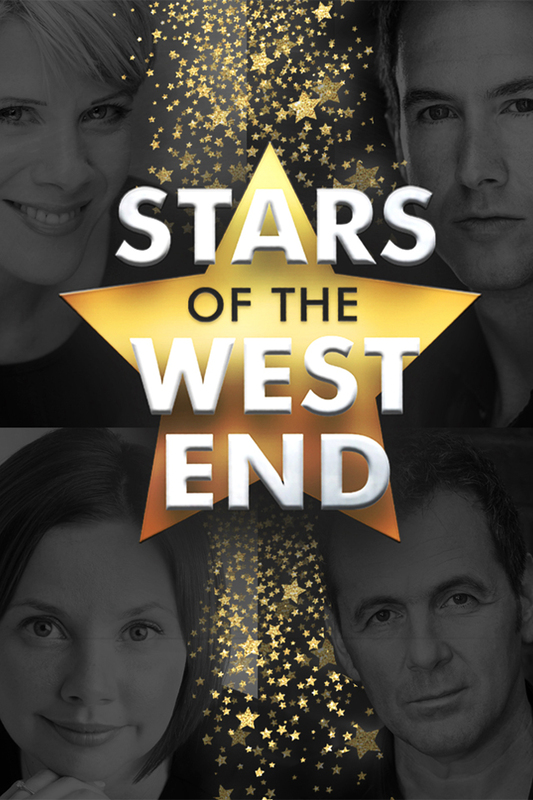 Featuring 4 leading West End stars Mike Sterling, Shona Lindsay, Tom Solomon and Jayne O’Mahony, the musical has toured extensively across Europe since 2011, before coming to Asia this year. The 2-hour setlist will consist of the best-known hits from some of the longest-running musicals. Here’s a look at 5 of them. Having staged more than 10,000 performances across the globe, Wicked continues to enchant the global audience. This highly raved musical has clinched over 100 awards including 3 Tony Awards on Broadway, 2 Olivier Awards in London and a Grammy Award. This musical tells the extraordinary story of an unexpected but profound friendship between 2 girls, the popular blonde Glinda and the misunderstood, green-skinned Elphaba. However, their friendship is soon strained as both fall for the same guy. With opposing personalities, the 2 friends eventually grow to become Glinda the Good Witch and Elphaba the Wicked Witch of the West. The award-winning musical played in Singapore 5 years ago and returned last year. Party it up at one of the most upbeat, exhilarating musicals of all time. Featuring some of the greatest hits from ABBA, the international sensation Mamma Mia has been performed to over 54 million people in 40 different countries worldwide. The ultimate feel-good show tells the story of a soon-to-be bride, Sophie, who digs into her mother’s past, inviting 3 of her mother’s ex-lovers in hopes of identifying her real father. When all 3 possible fathers turn up at her wedding, Sophie is left confused with no clue who should walk her down the aisle. Journey to the sunny Greek island as the tale of love and friendship unfolds in this rib-tickling comedy. The musical returned to Singapore in 2014 after a decade. The West End’s longest running musical, Les Miserables, holds a solid 13,000 performances worldwide with its DVDs selling over 126,184 units around the world. Recognized as one of the most successful musicals of all time, Les Miserables was nominated for 12 Tony Awards and won 8, including Best Musical and Best Motion Picture. Set against the backdrop of 19th century France, it tells the story of Jean Valjean, prisoner-on-parole, who is tracked down for decades by a police officer. Along the way, he gets involved with a group of young idealists’ call for revolution. Based on Victor Hugo’s classic novel, it tells a heart-warming story about the survival of the human spirit. It made a comeback in Singapore last year after 20 years. Known as one of the greatest musicals of all time, The Phantom of the Opera is the longest-running show in Broadway history. Winning 7 Tony Awards including Best Musical, the musical has performed across 27 countries to 130 million theatre goers. The Phantom of the Opera tells the tale of the tragic love between a hideously deformed composer who haunts the grand Paris Opera House and a beautiful young soprano. This timeless musical takes you back in time to relive the 1900s with its shimmery gowns and majestic masquerade ball. The musical returned to Singapore in 2013 after its first performance in 2007, which played to a sold-out crowd. Named ‘The No. 1 Greatest Musical of all Time’ by The Times, West Side Story has been lauded by critics as the musical that changed the face of American musical theatre when it first burst onto the Broadway stage in 1957. Filled with finger snapping of street gangs, energetic dance-offs and wailing police car sirens, West Side Story is a lively musical with a great story-line and an amazing music score. Famously known as a modern-day adaptation of Romeo and Juliet, the story is built on the forbidden love between star-crossed lovers, Tony and Maria. This hit musical is scheduled to play in Singapore from Sept 13 – 24 this year. You can catch the musical numbers from these evergreen musicals and more at Stars of the West End on June 22 and 23, at One Farrer Hotel & Spa’s Grand Ballroom in Singapore. For more information, please visit: britishtheatreplayhouse.com.